A global income mutual fund can invest in any country around the world. Global income funds usually offer better returns because of the foreign investment factor. Global income funds can save you a substantial amount of investment capital. What is a global income no load funds group? Those types of mutual fund involve a few different factors. Global income funds are mutual funds that invest in both US and foreign investments with the goal of providing an income without charging any no load fees. This may seem complex but once you break down each component of these funds it is not as confusing as it may seem at first. Global funds are funds which can invest in any country of the world, including the United States, and may hold stocks, bonds, and even precious metals like gold and silver at times. These mutual funds differ from International mutual funds because they can include a large percentage of investments in the USA. Income funds are funds which have the goal of producing income for the investor or the investment, instead of producing equity, which happens when only stock mutual funds are used. Even though some global funds may have a mixture of stock and bond investments, most global income mutual funds choose one investment type or the other, and income funds are normally funds which invest in bonds and government securities. 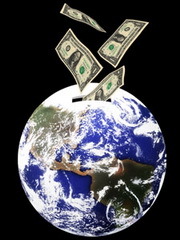 A global income no load fund will not have any load fees associated with the fund. A load fee is basically a fee charged by a broker or advisor to help you determine the best mutual funds for your investment capital. With some research and a little reading you can make these choices yourself and avoid paying for this advice. There are a number of reasons why this is the better choice, and one involves the costs. Load fees can be as high as eight percent, or even more, of your investment capital. This is money that you pay right off the top, before your money is invested with front end load fees. Sometimes brokers may have private deals with several mutual funds as well, getting a commission for each investor they direct to that fund. An ethical broker or advisor will disclose this information, but unfortunately there is no law in place that forces them to. Sometimes mutual funds may hide load fees in the 12b-1 marketing fee, which is intended for legitimate fund marketing expenses. The percentage of this fee compared to the fund’s net assets will tell you if the global income funds you are comparing are true no load funds, because if this percentage is more than one fourth of one percent the fund is actually a load fund that hides it well. Just because a fund is labeled a global income fund does not mean that the fund is low risk or no risk. Even with global income funds there are funds that are very volatile and funds that are very stable. Only the proper research and comparisons will help you determine the right mutual fund, one that fits well with your investing strategy and your acceptable risk levels for your investment capital. Because global mutual funds can invest in any market, both foreign and domestic, these funds provide terrific investment opportunities that may offer larger yields but also higher risks of capital losses as well. Look at each one of the global income mutual funds you are considering and determine whether that fund fits with your investing goals or not. Verify that the fund you choose is an income fund, and not an equity fund that may have higher risks because of foreign stocks. You also need to look at what countries and securities the fund invests in. Most have a balanced blend of domestic, foreign, and emerging market investments to minimize risks while maximizing returns and yields. This is all sounds pretty complex. It seems like it would take a whole lot of time to learn about the different options and might not be worth the little bit of money you will save. Especially if you already have a good broker you work with now. It really is sad that we have to monitor brokers and other professionals so much. I know from experience that we really need to, but want to be able to trust people. It baffles me that everyone can’t simply have morals and good ethical business practices.